Streamline commercial outdoor lighting with the 12" Barn Light Shade and Gooseneck Arm. This charming Gooseneck Barn Light is a lovely illuminator of signs, awnings and storefronts. 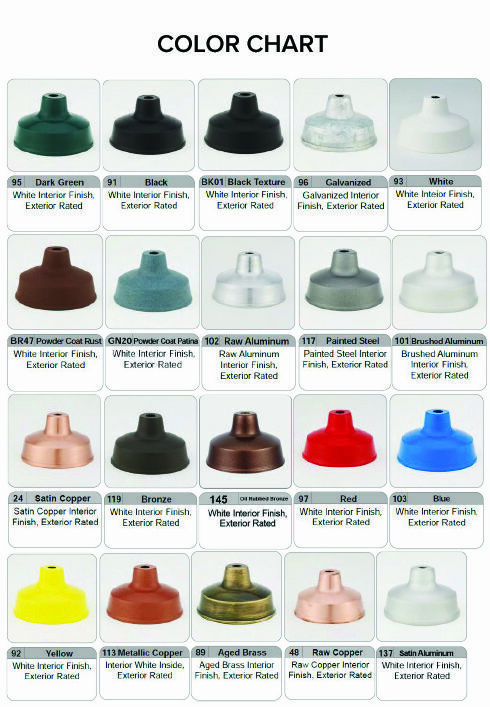 Each fixture is made of commercial-grade aluminum with powder coated finishes, available in 25 rust resistant shades (see drop-down menus for pricing). Install to any standard 4"D recessed round or octagonal junction box. A standard incandescent gooseneck light is wired for 120V service. Upgrades to compact fluorescent and metal halide gooseneck lighting also available online; please call for other lamping options like LED or high pressure sodium. Order gooseneck lighting online, customizing from available options as you go (see drop-down menus for pricing). For custom Barn Light designs not available online, please call toll free for a product consultation and price quote. Aluminum goosenecks are UL Listed for outdoor use (US and Canada).